For the fifth instalment in my trawl through my old CD singles collection, I’m going a bit mainstream. Certainly a lot less cool. You don’t get many tracks on music blogs by these artists, and maybe there’s good reason for that. But that doesn’t mean that they’re entirely without merit and I’m not going to gloss over the less glamorous regions of my music stash. These are a mix of the good, the alright and the frankly bizarre. First up we have Athlete. Although they’re now much-derided purveyors of epic stadium indie rock, a la Coldplay and Snow Patrol, it wasn’t always so. 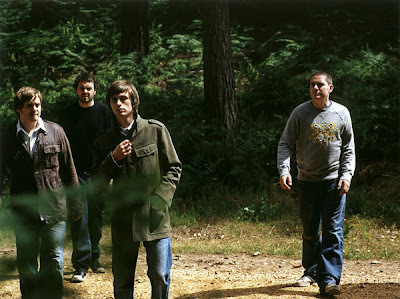 Back at the very start of 2002, a single appeared which was a bit of a hit on John Kennedy’s Xposure radio show, by a young band from Deptford (south east London). And it was pretty good, with its crackly lo-fi start, explosion into sparkly indie-pop and wry lyrics about wanting to be part of the rock scene (which brings me back to notions of ‘cool’ again). It boded well for things to come, and I eagerly bought a copy of the EP that the song was on. But alas, the early promise didn’t really lead anywhere and it’s the only thing by the band I own. A shame really, but at least we have this. Next we go even more pop. In common with most machine-tooled chart pop acts, All Saints have got some great songs, but there’s never any point buying their albums. This is one of these songs, from back in 2000, just before the band fizzled out in mutual acrimony, egos and ill-advised solo projects. They actually returned, reformed and (apparently) reconciled last year, and had a hit. But by the time the next single and album came round, no-one was really bothered. My point exactly. 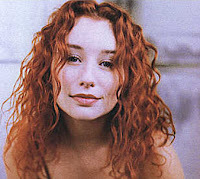 Now it’s Tori Amos. This one comes to me courtesy of Mrs Growl (who’s a Tori fan) and our marital pooling of music collections. Now I do have time for Tori Amos, particularly when she’s on more of an oddball streak, which happily is more often than not, and no more so than on the b-side of her 1996 single Caught a Lite Sneeze, where she covers two songs by Cockney knees-up merchants Chas & Dave. Honestly. Here’s one of them. It defies further description. Finally, we have another Mrs Growl CD. It’s Aztec Camera’s single Birds from 1993. I’m a big fan of this band, but latter-period 'Camera, including this song, is far from their finest hour. It’s not very good, but thankfully, the b-sides hark back to better days. Maybe WEA didn’t have much confidence in the quality of Roddy Frame’s output at the time, because it’s surely an odd choice to go back almost 10 years for a b-side. But it was worth including the title track from the 1984 album Knife, just to make this release more bearable. Aztec Camera was always pretty much just Roddy Frame, and thankfully after discarding the band name after 1995 in favour of recording under his own name, a much better run of form was discovered. 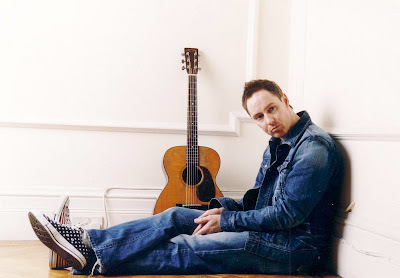 Most notably the brilliant acoustic album Surf from 2002 – easily as good as anything from Aztec Camera’s glory days. * for overseas readers, BBC Radio 2 is the most popular radio station in the UK. Its programming is generally, popular middle-of the road music. It’s lazy categorising I know, but I needed a title to cover all these tracks, and I’m fairly sure all these artists would fit comfortably on the R2 playlist today. Lord A'mighty this is indie suicide! Bravely done indeed. I must admit I can't stand any of these groups, not even a little bit, but I salute your courage! I really enjoyed Athlete's early stuff too, I even bought a ticket to see them play in London supported by some band called Snow Patrol a few years back. But I sold my ticket and went to a party instead, which was probably infinitely more fun. As for All Saints, my fave has to be Pure Shores but they really, really should not have reformed! I once saw Athlete when they were named Cub and supported (self-concious 'they became famous later' comment to follow) by a little known band called Toploader (after what, the top-loading CD player? The skip lorry? You should do a feature on bands named after equipment found in the recording studio). It was in the Camden Monarch. Reef were in the charts. What terrible times. Camden Monarch? You're showing your age mate. Don't worry, I remember the venue now known as the Barfly too. I remember when the 'Barfly' was at the crummy (now closed?) Falcon too! I actually think Athlete has continued to improve their sounds and people hate on them because theyre known as sounding similar to such acts as colplay and snow patrol. If they sound good, like you first mentioned, then why not give it a try. Their new cd beyond the neighbourhood provides some ethereal catchy music. It doesnt have to be weird and experimental for it to be good.